There is something so very wonderful about the Pacific Coast and the beaches that you will find out here. If that is what you want to explore and discover this holiday season, then the Manhattan Beach limo service will allow you to be able to do just that. To rent a limo or party bus from Manhattan Beach limo service is the perfect way to tour the Pacific coast with your family and friends all in one group. Manhattan Beach is situated on the South western side of Los Angeles County in California and offers one of the best holiday getaways this part of town. Manhattan Beach Party Bus will take you around to the most wonderful places like the El Segundo and the Hermosa Beach which are quite close by when you are traveling in these super-fast buses. Also, if you are interested in beach and indoor volleyball then this is the place that you will find the best of this sport. As the party bus waits for you, your party of friends and family can take themselves surfing. The waves out here are high enough especially during the winter months to offer you the best of reasons and features to take yourself surfing. Close by cities are the Hawthorne and the Redondo Beach. Those are perfect beaches for a walk in the moonlight or to go to the best of restaurants that dot the beach by using Manhattan Beach Party Bus. The party bus will take you down to the most affluent of parts of the city wherein you can see the homes of the rich and the famous. 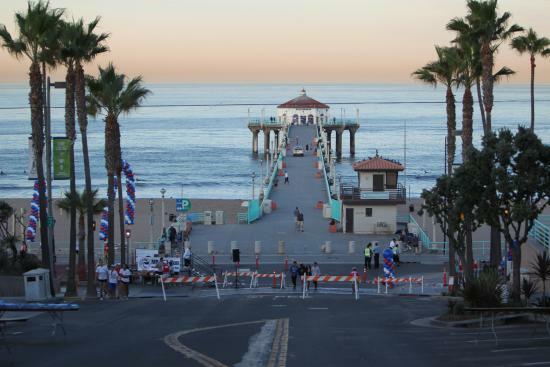 Manhattan Beach is one of the most costly of towns situated on the coast. These ocean view homes cost millions of dollars and they are a delight to look at although just from the outside. As the party bus passes by these homes you will be transported in a different affluent world.There are folks who are constantly on the lookout of for original and only one of its kind holiday getaways. With the help of party buses in Manhattan Beach you will be able to gift yourself and the entire group just that.By taking Manhattan Beach party bus,you will enjoy the city without headache. The use of the Manhattan Beach Party Bus Rentals will be just ideal for you as you will not only end up saving yourself a whole lot of time and effort but also save on the cost aspect. You will be able to spend less and have more fun and time with your loved ones. This is definitely not possible in the other means of transport. You will be highly impressed by the affordability and the down to earth pricing that the bus has on offer. You don’t need to empty your wallet in order to get a wonderful ride on the Manhattan Beach Pier and the Palos Verdes Peninsula. Go on and enjoy the most fantastic time on the beach with help of Manhattan Beach Limo Services providing by Los Angeles Limousine.